A gunman killed a U.S. Marshal as federal law enforcement officials attempted to arrest a suspect in Pennsylvania early Thursday. 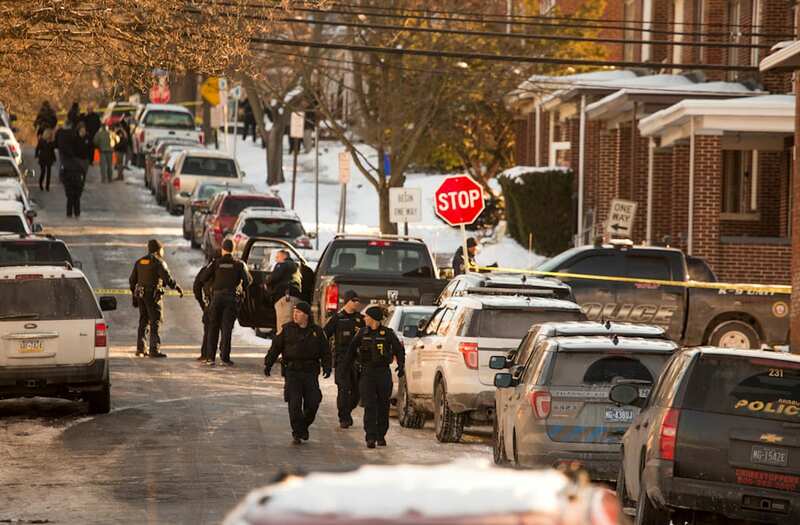 A police officer was also wounded by the gunman during the standoff in Harrisburg. The York City officer had been assigned to the U.S. Marshal's task force. The police officer's condition is believed to be non-life threatening. Authorities had the home locked down Thursday morning. The officers were attempting to serve a warrant at a Harrisburg home in the residential area when they were shot. "No words can adequately express the sadness we feel at this moment as we contemplate the loss of yet another law enforcement officer in the line of duty," Harrisburg Mayor Eric Papenfuse said in a statement. "I extend my sincerest condolences to the family of the slain U.S. Marshall, to his colleagues and to all law enforcement officers who risk their lives each day to protect and to serve our city and our nation." One person was shot by police. The shootout took place at approximately 6:30 a.m. Thursday. Dauphin County District Attorney Fran Chardosaid during a press conference that there was "no current danger to the public" and that the suspect was "not at large." Chardo would not say if the suspect was in custody. Law enforcement officials cleared the area.